This question is one that is asked quite commonly in workshops. It seems appropriate to take a swipe at the core since the last two “muscle of the month” articles were the iliacus followed by the psoas muscle. 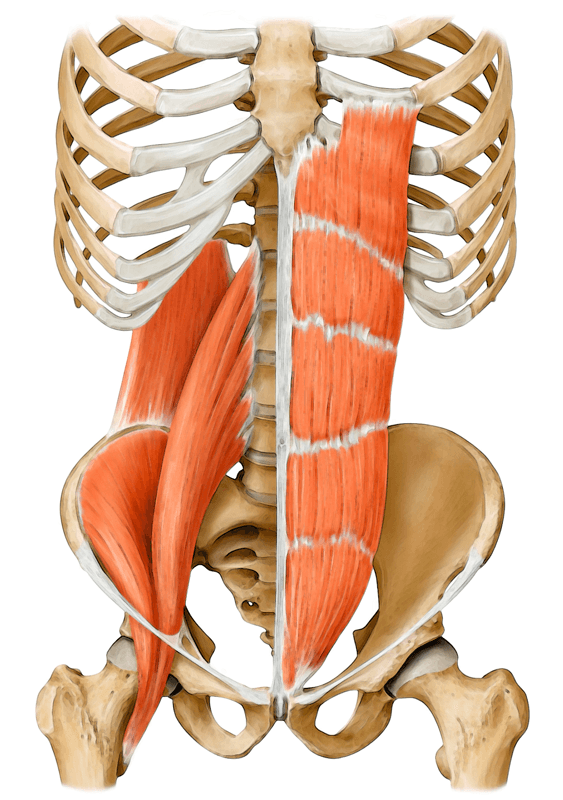 They equal the ever popular iliopsoas muscle and are perhaps, the epitome of what we call the core muscles. The “core” question came up again this past weekend during a workshop as it often does. What is it? How do we access it? Why is it important? As usual, I turn it around, and ask the group so I can find out what people are thinking. One of the most common answers is this: “the abdominal muscles are related to core and it’s important that they be strong for stability of the core.” This is both true and on point, however, there is a lot more to the core than just thinking about abdominals. The abdominals are the most common answer because they are the most obvious. But there are less obvious muscles and less obvious ways that we WANT to think about the core, especially for yoga practice. Let’s first define the word core. The word core itself implies deep and central. The anatomical structure that is the deepest and most central is the spine. A lot of what we hear about the core is directly related to the spine specifically, and the torso in general. After all, this is primarily what we want to stabilize with our core muscles. There is also a dynamic component to the core. This aspect of core is all about movement and the specific control of movement from the deep intrinsic muscles that move us. 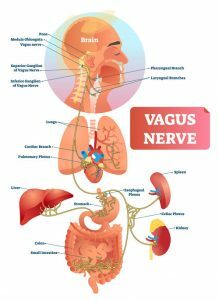 Based on my personal experience and training as a bodyworker, I often refer back to Ida Rolf who developed Structural Integration also known as Rolfing. For her, the spine was the core of the body. The tissues that were the deepest and most intrinsic were considered core muscles. For Ida, the more superficial muscles such as the abdominals were referred to as the “sleeve” not the core. This is not to say that the deeper more intrinsic core muscles don’t have a relationship with the superficial extrinsic; they do. But she wouldn’t classify them as core muscles in the way that we commonly do today. Regardless of how we classify any of these core muscles, there is a more important question to ask. Why is it so important to understand the core? 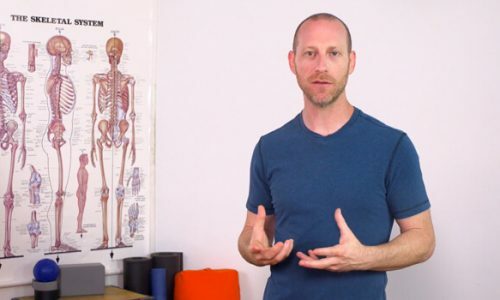 In yoga, there are a few reasons that we want to know about the core. The strength that comes from the core is without a doubt the part of understanding the core that gets the most attention. This is exactly as it should be. One cannot say enough about how important it is to have a balanced relationship with the core muscles. By balance, I mean both strength and flexibility of the core muscles are equally important. This makes them more adaptable. It is this adaptability that we need at the most unlikely times. For instance, those of you living in places where there is ice on the ground for parts of the year use your core every time you slip and slide on the ice. For everyone, anytime you trip, start to fall, and then catch yourself, it’s the adaptability of your core muscles that is at the heart of what catches you. In yoga, we use this adaptability to move in and out of postures. We also use it when we are faced with demanding strength based postures such as arm balances, lifting up, jumping and the like. It is at these moments that we absolutely need the strength and stability of our core so that we can move it. 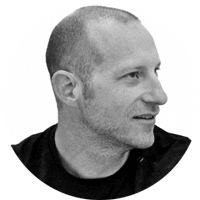 When we describe movement from the core what we’re really asking is: How do I control my center of gravity? 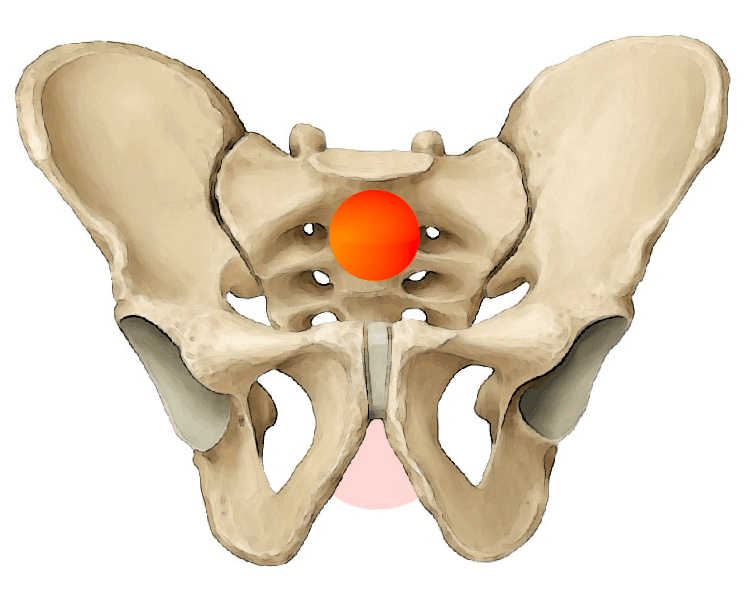 It is this aspect of controlling our center of gravity that makes the iliopsoas so relevant to the conversation about core muscles. 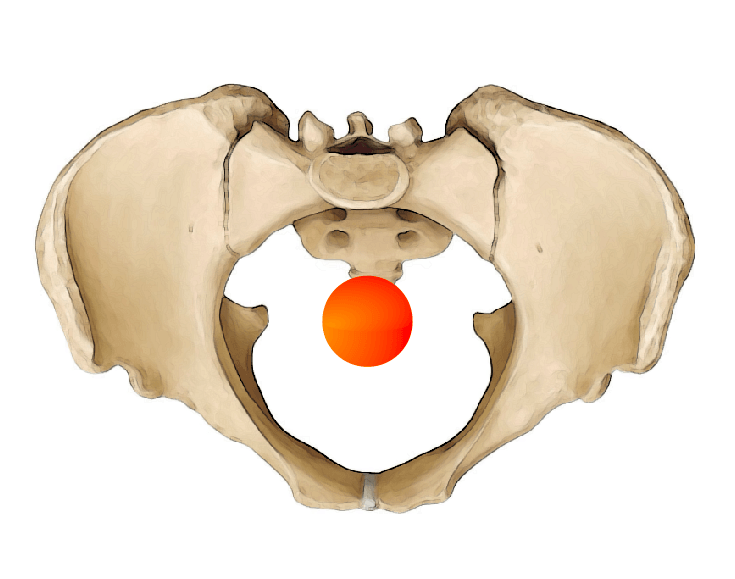 The iliopsoas is strategically located around our center of gravity, which is located at a spot close to the top and just forward of our sacrum. Center of Gravity from the front. Center of Gravity from above. When our center of gravity is in line with gravity itself, relative to our body parts, we are in balance and in control. When we move from our center, the movements are not only controlled but expansive and light. We actually end up with two sets of very important qualities of practice: groundedness, stability, or rootedness (Mula) and ease, lightness, or graceful movement (Uddiyana). Ida Rolf described this as having “Psoas Awareness.” This is where the iliopsoas, core, and bandhas all start to mix together from different points of view. These are different perspectives that converge to create a similar outcome. That outcome is a synergy of strength, stability, lightness, and ease during movement. This is often the point where people want to know how to strengthen their psoas, or their core muscles more generally. This is also where people make the most common mistake in my opinion. The mistake is to simplify this into either strengthening or lengthening of the psoas as if it’s that black and white. What is the bandha anyway? It’s often very hard for people to describe what the bandhas are or what they mean by bandhas because it is an experience. Oh, don’t get me wrong. We may be able to intellectually and philosophically describe it, but describing the experience is something different. Being sure of your experience is something different altogether. Because people have different experiences of bandha and discuss it at different levels of understanding, there is often more confusion, not less. What most of us are able to describe is the physical control that goes with the energetic component of what a bandha is. But this is not really the bandha, this is the outcome or perhaps the quality that is created by the bandha. I personally, am not convinced that I know what the bandhas are. I only know what my experience has been so far. From a philosophical point of view the bandha is an energetic element within us. So, how do we experience energy? As sensation? As movement? How do we manipulate and/or control that energy? Perhaps we experience it as all of these things. 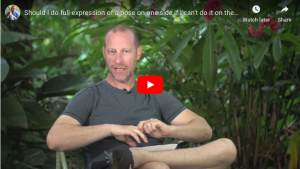 But the first place I suggest we start looking for an understanding of bandhas is with the attention we pay to our breath (article-How Breath Leads to Bandha). After all, it is our breath that we traditionally use as the mechanism to control energy (pranayama). It seems logical enough to me that without a level of control of the breath, you are going to have a hard time finding control of energy. That is both the inherent energy that circulates inside of us as well as the energy that we are bringing in through breath. No breath, no bandha; no bandha, no mind control, no development of concentration and focus. This is where we get to the root of the bandhas. In this sense, the bandhas are points of concentration that direct or control the prana. After all, it is our mind that directs prana. What we are really talking about is a level of awareness. Without concentrating the mind there is no space for awareness. We are stuck in the thought stream that is trying to conceptualize the bandha as opposed to experiencing it. This is no small feat of focus, and I am not professing to have mastered this, but ultimately we are looking toward our CORE! By core here, I am not talking about muscles anymore. I am talking about layers that are much deeper than that and at the same time live within the space of our bandhas, breath, muscles, and core. If you need more instruction, this is me leading a group of students at Still Point Yoga London through sun salutations from their psoas (center of gravity) a few years back. Great article David. I am so interested in the core and how it works and how it combines strength and lightness. We divide the core into parts but it really functions so perfectly together. I think of the quads as part of the core. It seems if you activate the psoas you are at least partially activating the quads and they do so much for stability and balance. The truth is, all of the names and labels are made up by our minds. The body doesn’t know it has a core, it just functions. I would suggest that there is a “CORE” that we are discussing here, but the legs also have their own core. The deepest quad, intermedius, would be the most core of the quads. On top of that, the legs affect the spine so in that sense the legs are definitely related to the core that we are discussing here. Hope you joint the google hangout and ask a question! What is the google hangout? Nice series. As a physician with multiple lumbar surgeries I have found that illeo-psoas tightness from sitting in a chair sends spasms into my lower back when I stand up and try to straighten completely. When you have a spinal fusion, you CAN’T bend your lower back yet you need to stretch out that group of muscles. I have found that holding low lunge and doing some pelvic tilts is the only thing that will stretch it out and relieve the spasms. (I use a super-block to help get better extension.) High lunge, often makes things worse and tends to tighten up these muscles as you must use them for support. I think your articles are a great source of information. THank You! I’m not sure I get a firm understanding of your view on bandhas and breath from this post. It sounds rather abstract to me. Could you explain a little more? The breath is a product of the respiratory muscles, some of which could definitely be wrapped into the core moniker. In fact, a form of mulabandha happens naturally at the end of each out breath, so there is a very direct relationship here. Uddiyana bandha allows us to move the resp. diaphragm up and breathe into the rib cage on in breaths, another direct link between the two. If the breath is the result of muscle action, and the bandhas the result of muscle action, I’m not sure where all this abstract theory comes into play. These are actions of the human body, and natural ones at that. It seems clear to me that there are many sensations and effects of the breath and bandhas that we don’t normally associate with the physical body, but I think we can chalk that up to limited perception, something also intrinsically human. I came away from this post feeling like the bandhas are some type of magic, something so abstract that we can’t understand. Certainly experience takes us into the depths where the mind cannot go, but we can understand these concepts in the immediate present with the tools we have available.